What is Weight per Gallon? Weight per gallon is a measurement of the density of a product or coating. It's important for batch-to-batch consistency and accuracy purposes. This measurement is part of the quality control process that ensures the final product has the correct amount of each material required in the coating formulation. Weight per gallon helps confirm customers consistently get the same, high-quality coatings and that those coatings perform as expected. Weight per gallon is determined using weight per gallon cups, which are standardized using the specific gravity of water (density of 8.32 pounds per gallon at 77°F). They are made out of stainless steel so that both water based and solvent based products can be tested and the cups can easily be cleaned without damage. Care must be taken not to leave material in the cup for long periods of time because of potential reaction that could occur in the cup. Liquid formulations contain raw materials that are supplied with a given weight per gallon. Their weight per gallon is also calculated against the specific gravity of water. If we add up all the raw materials weights and volumes for a specific formula and divide the total weight by the total volume, we can determine the theoretical weight per gallon of the product. Most products are allowed variance 0.2 pounds per gallon which allows for variability in manufacturing but yields the same quality of product. If the weight per gallon is out of the 0.2 pounds per gallon specification, this allows for natural fluctuations in the manufacturing process. Other tests can then be utilized to further determine which material has varied from the given recipe and adjustments can be made to bring the product back into specification. In the end, this test reflects the quality control process. Other items tested during this process in the lab, besides weight per gallon, include pH level, viscosity, etc. In simple terms, we conduct quality checks in the lab, like weight per gallon, to ensure that our customers receive the same high quality of finished goods each time. Any coatings manufacturer would go through this process for every batch; it’s industry standard. Think about it: if you were to take a product that was out of specification for weight per gallon and apply it by roller, brush, or spray, you wouldn’t get the same finished film thickness. This could potentially affect your product’s performance and or add additional costs to the customer. Quality checks make certain our customers that they will receive high quality industrial coatings and each batch will be the same. 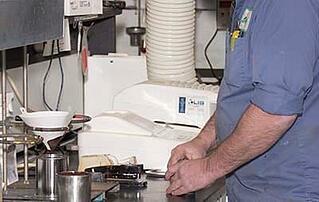 As a manufacturer, why do quality control checks make a difference for your products? Share your experiences with us in the comments below! 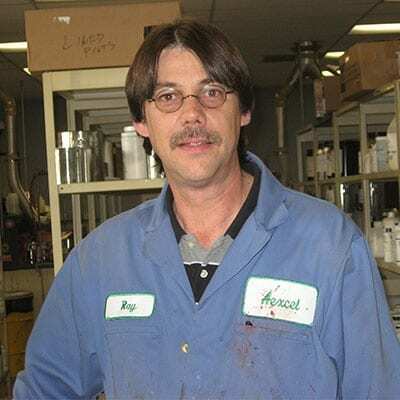 Raymond Snyder is chemist at Aexcel Corporation, PPG, and AkzoNobel. His background includes 20+ years in the coatings industry. His skills include product development from conception through production with an emphasis on platforming product using current raw materials and formulations available in existing manufacturing sites.